Another saga involving hackers’ activity has taken place, with Turkey being the location where these individuals struck next. The hackers were able to seize brief control over a German Patriot missile battery. One of the reasons why this particular missile battery was present in Turkey was to provide protection to the country against the on-going Syrian military conflict. Hackers were able to penetrate the security contingencies of the Patriot missile battery on Tuesday, which are currently placed near the Syrian border. According to German website Behoerden-spiegel, the German owned military paraphernalia were reported to unexplained commands sent by hackers. At this current time, location of where the hackers sent their commands from and the nature of these commands remain unknown. According to the source, the individuals that penetrated the security measures of the missile battery might have found two possible ways to seize momentary control of equipment. One was they must have taken hold of the Sensor-Shooter-Interoperability (SSI) system that connects both the missile control system and launcher. The second was that they must have taken control of the programming of the computer chip that is ultimately responsible for guiding the missiles towards the intended target. According to experts, hackers could have stolen valuable information from the operating system of the missile battery, which would have granted them access in the first place. According to Jewish News One, the German and Dutch Defense Ministers paid a visit to Turkey during 2013 in order to inspect the functionality of these missile batteries. They were originally deployed by NATO at Syria’s border and at present, six missile batteries are deployed at three southern provinces of the country. The Netherlands and Germany had each sent two Patriot missile batteries in December 2012 after NATO had granted the request of Turkey to protect the country’s airspace from a potential missile strike originating from Syria. According to the German defense minister, the missile batteries’ only priority at this current point is to protect Turkey. Since there have been no follow ups concerning the whereabouts of the individuals that were responsible for the hack, no further information can be divulged at this point. We will however, be keeping you updated with the latest. 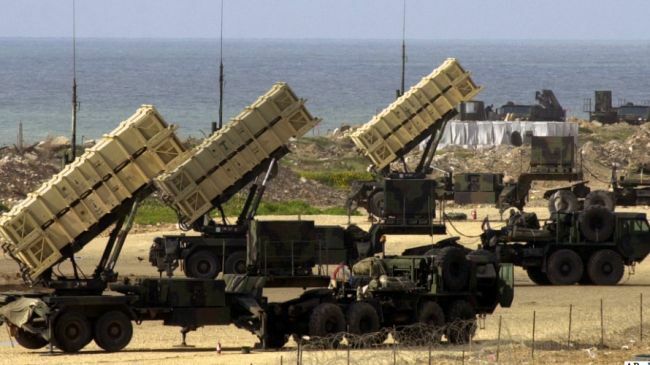 The post Hackers Take Momentary Control Of Patriot Missile Battery In Turkey by Omar Sohail appeared first on WCCFtech. Next article12 Essential Gadgets for Cutting Onions.